Christmas was wonderful. Christmas lunch likewise – though with one of us a vegetarian and one of us very much not, we had a few re-runs with leftover seeded pistachio galette (essentially a flat nut roast, but still yum!) and cold, rare venison with slices of delicious bread sauce…However the mic ro-sprouts were not a success. The vegetarian loved them, but I am still in Hating Sprouts Corner. They were exceedingly sprouty. In the no-man’s land between Christmas and New Year I thought I’d get a fair bit of work done, but it’s been raining most of the time I’ve been home. 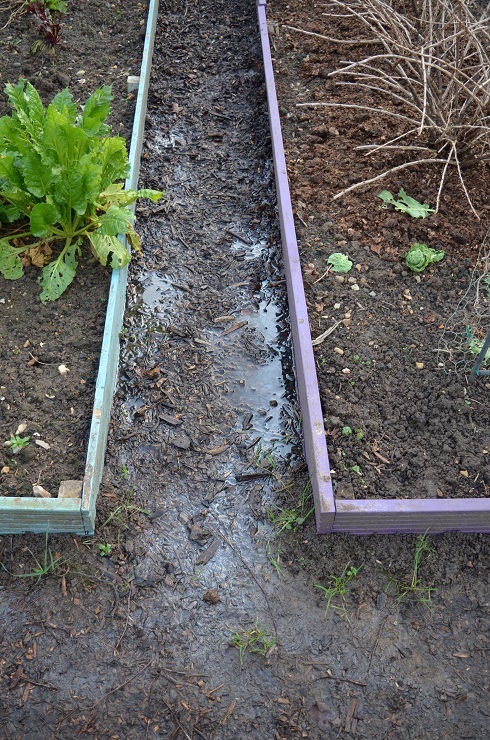 My plots are suffering from soggy bottoms, though it does make weeding easy. 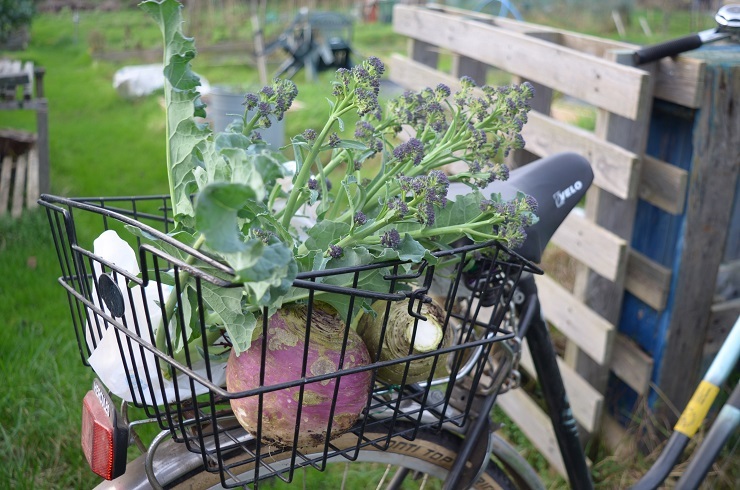 The weirdly warm weather is keeping all my winter veg bulking up and has brought out my broccoli a month or so early. It is delicious. Even the thick stems are sweet. 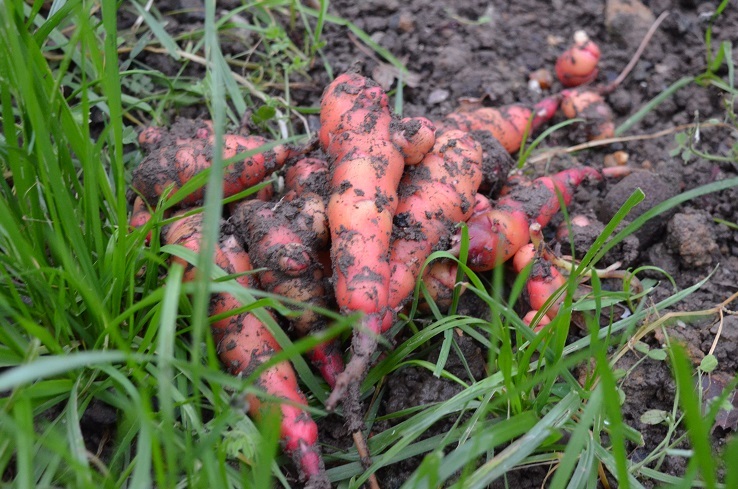 Good news is that our local furries have yet to find my oca harvest, and I am bringing it home slowly – the beds make an ominous sucking sound when I try to dig them up. Your blog Header photo with “PSB” tells me straight away that we have much in common! Glad you like my festive bunting! PSB is just amazing fresh from the plot. I never grow enough.